Nutrition is an often overlooked aspect of “infertility.” While I use that term only for the sake of those hoping to find answers, unless you do not have a uterus, you indeed have some level of fertility. 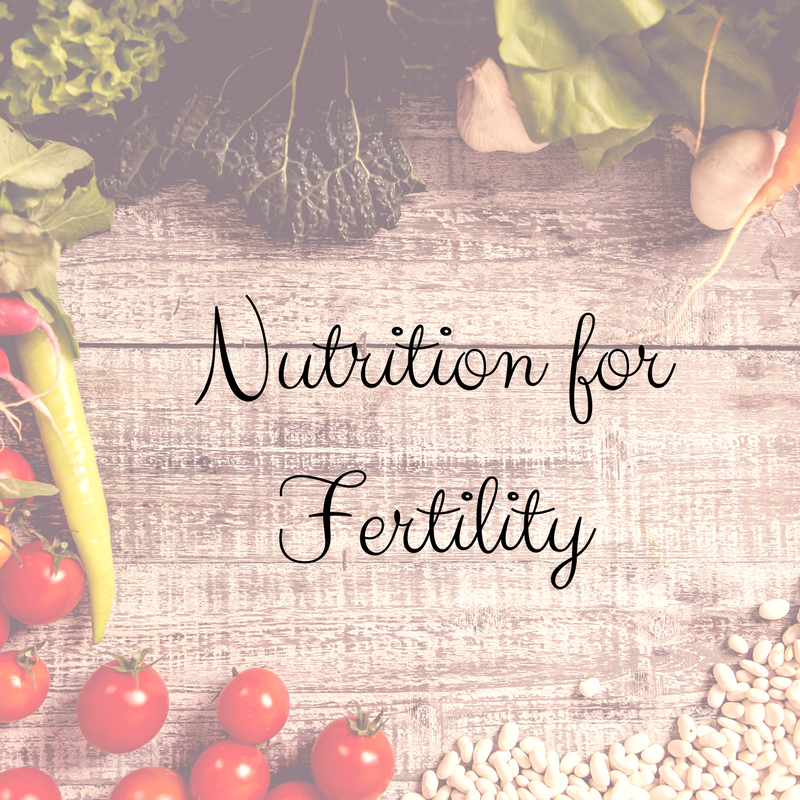 The treatment I provide to patients suffering from “infertility” begins with nutrition. 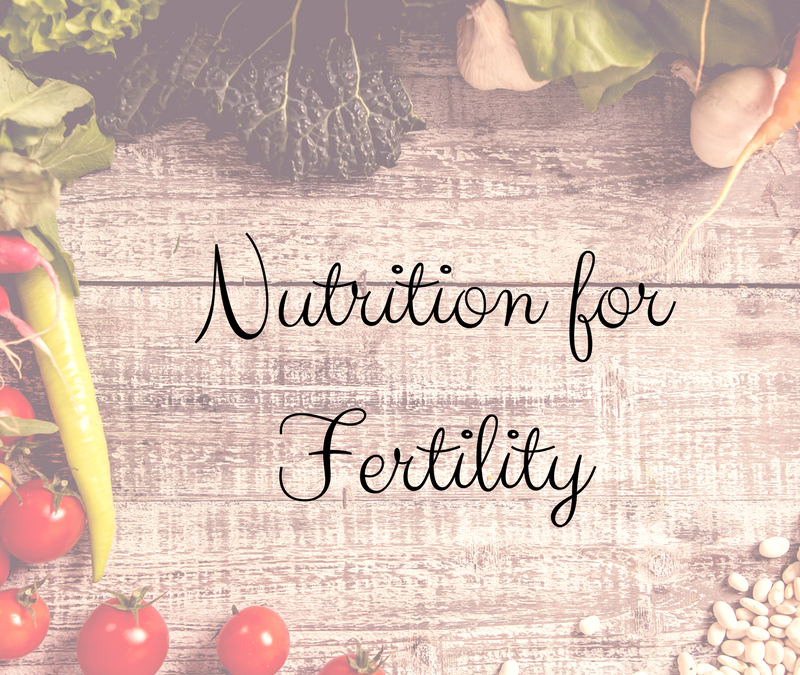 Over the course of the next few weeks, I will be blogging about various changes you can make to your diet to increase your fertility. Please enjoy and stay positive that you, too can become pregnant. They reproductive system is often the last in the body to receive nutrients and blood flow as the body sends its resources to systems that are necessary for survival first. There are several things we can do to enrich our reproductive health by making small changes to our habits that will improve the health of all of our other systems and thus the reproductive system. These steps can be taken slowly as it can take a little time to make changes that will become our new habits. I will try to explain why these recommendations are helpful at the level of our cells that we are built from, so that you may understand the science and the processes of the body and how these recommendations can bring harmony to your incredible body’s functions. These guidelines will help enrich your fertility by balancing the hormones surrounding eggs and sperm as they mature and are preparing to meet one another. They will help optimize hormone balance, reduce overall inflammation, support the body’s metabolic systems and prepare your body for optimal fertility. Sperm and eggs (otherwise known as gametes) are not affected by much when they are not in their “growth” phases. The eggs being recruited today will take about 3 months to complete their journey to becoming a dominant follicle that can be released at ovulation and meet up with sperm to become an embryo and eventually your baby. Sperm take about the same amount of time to develop, so the immature sperm of today will be ready to be ejaculated and meet up with an egg in about 90 days. When we change the “hormonal soup” around these developing eggs and sperm, we can change their health dramatically. These recommendations will help give your gametes the tools they need; blood flow, the right hormones at the right times, and proper nutrients for ideal development. This is the nutrition section of a guide for optimal fertility. Sleep, exercise and emotional/mental support guidelines will follow as our treatment progresses. I will try to explain scientifically, in as few words as possible, why your body will benefit from adopting these new habits and how you will be ultimately supporting your reproductive system. Let’s start with nutrition– What you put in your mouth helps to create the cells that make up you. When we give our cells the best tools, the hormones that tell your cells how to communicate and grow can function at optimal levels of communication. If you want to change your output, change your input. We must begin with our major hormones to balance all of our hormones necessary for making babies. Insulin, adrenaline and cortisol have a say in what ALL of your other hormones do. Stay tuned to our next blog post to learn about simple changes you can make to your diet to increase your fertility. If you are in the Denver area and looking for an in-depth nutritional analysis and infertility treatment, call or fill out the form below, today!